Experts fear similar interference with the 2018 midterms. The success of Russia’s meddling in the 2016 presidential election is undeniable: Donald Trump is president. As America continues to reel from the reality of this campaign, the ad world is busy working to better understand how brands can market truth in an age of fake news. 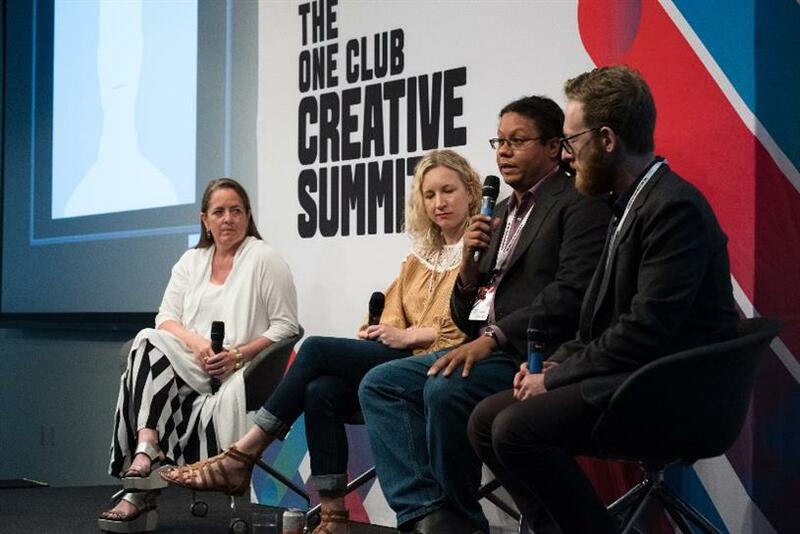 Project Meddle, a case study of the Russian interference put together by a group of concerned anonymous creatives, called on the industry to do more during a talk at The One Club’s Creative Week in New York City on Tuesday. "I think that there are different solutions from different parts of this industry," said an unidentified Project Meddle spokesperson over Skype. "A creative shop could have a really brilliant idea to surface truth in a decisive swing state... Our expertise gives us all kinds of potential, and I think it’s going to take many different proactive efforts to fix this." The call for action comes as the team released a brief called "Protect the Midterms." It aims to help prevent another meddling in the elections later this year, which experts think is likely. In the lead up to the 2016 election, hackers used disruptive social ads, experiential events, AR gaming and real-time newsrooms to influence voters and undermine America’s democratic process. The spokesperson branded Russia’s campaign "evil." "All of these tools, those were developed by us," said Project Meddle. "Those weren’t necessarily developed for the user, they were developed for the advertiser. It feels a little unfair for us as an industry to take credit for all the good work, but not be part of the conversation when those negative outcomes are coming to light." The anonymous speaker was joined by Gemma Craven, SVP and head of social and mobile at McCann; Susan Fowler Credle, global CCO at FCB; and Damaso Reyes, director of partnerships at The News Literacy Project, a nonprofit that works with educators and journalists to teach students how to sort fact from fiction in the digital age. "We spent the last 20 years building things we wouldn’t have imagined as kids," said Reyes. "Now we’re learning the impact of those tools and how they can be used and misused." Reyes explained that when agencies pay an influencer to post on social media, and that influencer doesn’t make clear that it’s sponsored content, they’re "eroding the trust ecosystem." "A 12-year-old isn’t necessarily sophisticated enough to realize that they’re getting paid to do that," he said. Reyes stressed that "you have to get clients to not just value the quick hits, the cheapest way to get their message out there, but to get them to understand they’re part of a larger community and they have a responsibility to be transparent." Fowler Credle said we’ve grown to weed out the ridiculous from the trustworthy when we look at a magazine stand of publications. Digital, however, is completely diluted. It’s going to take all of adland and beyond to help brands push the truth agenda though authenticity in the months and years to come as consumers continue to grapple with an onslaught of mixed-messages.